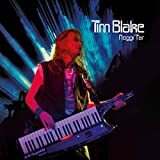 UK born and France based composer and keyboardist Tim BLAKE started his career way back in 1970 as a sound and light artist. And while some will associate him most for his numerous stints in renowned bands Gong and Hawkwind, it is as a solo artist he made a name for himself. 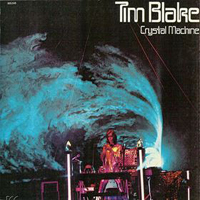 His first solo album "Crystal machine" was issued in 1977, and Crystal Machine is also the name most often associated with Blake by keyboard and light effects aficiniados. Together with lights expert Patrice Warrener they have performed under this moniker numerous times, enchanting and enthralling audiences for decades. On occasion, French keyboardist Jean-Philippe Rykiel has participated on these concerts as well, in particular in his formative years, and he also contributed to Blake's second solo effort "Blake's New Jerusalem" in 1978. 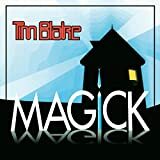 The 1980's was a barren period as far as solo recordings from Tim Blake is concerned, but in 1991 he returned with his third full album effort "Magick". 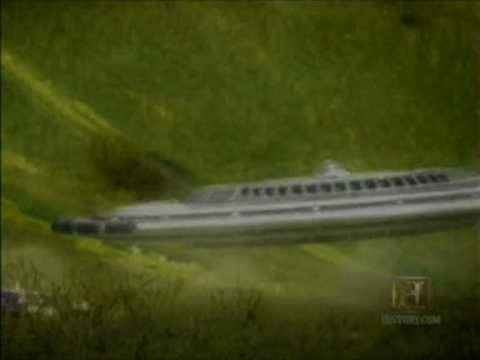 Another 9 years would go by before the fourth solo effort "The Tide of the Century" saw the light of day, issued in 2000. 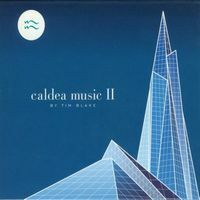 The final regular solo album by Tim Blake came in 2002, in the shape of "Caldea Music II". Since then Blake has opted to stay away from the old-fashioned scheme of releasing music on physical formats, and has chosen to go all digital instead. He currently purvey his various solo efforts digitally exclusively from his own website. Blake's career was put on halt in 2004, when he suffered serious injuries in a car accident, but in 2007 he had recovered and decided to hook up with long time associates Hawkwind. He's an active member in this band to this day, and is currently busy with the rest of the band celebrating their 40 year anniversary as recording artists. 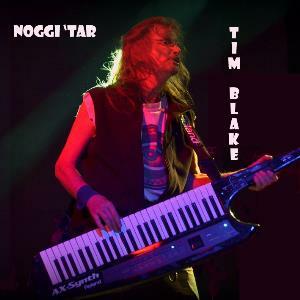 1991's Magick is Tim Blake's third solo album, released some 13 years after his previous offering, Blake's New Jerusalem. Between that time he briefly joined Hawkwind and appeared on Live '79 and Levitation and then seemed to lay low throughout the 1980s. Magick first appeared on Voiceprint with a totally hideous cover, with horrible typefont and hideous, dated computer altered photo of Tim Blake. What was Voiceprint thinking? Mantra in France released this the following year in 1992, and with the much more familiar cover (and the far more appealing Crystal Machine-era typefont). Voiceprint obviously loved the 1992 version so much better than their later pressing used that cover instead. The 1991 original just looks so dated and cheap you can almost expect to see it in some thrift/charity shop. I can see why Magick isn't talked about much. God, this is cheesy. I mean those synths. I realize in 1991 everyone thought the EMS and Moog synthesizers were thought of as dated relics, so it's no surprise that he uses digital synths common to the time- period. Listening to this album gives you a big reason why a retro-boom would soon take off in the prog and progressive electronic world (such as Anglagard, Landberk, Anekdoten for prog, and Radio Massacre International, Redshift, Air Sculpture and Free System Projekt in the world of progressive electronic), where they hearken back to the glory days of the 1970s and use vintage gear. Tim was never the greatest singer out there, but on New Jerusalem at least they're tolerable (and Crystal Machine he only sings on one cut), but on Magick his voice sounds totally shot, as if he's been smoking too many cigarettes. The home made production really detracts as well. I hate to say this, but the original, hideous cover is actually better descriptive of the music that the much better known, much nicer cover. Crystal Machine and New Jerusalem certainly have very different approaches from each other, Crystal Machine being live improvisations, New Jerusalem a studio creation with vocals and Ovation and glissando guitars along with synths, and they are nothing short of amazing albums that has visited my turntable frequently through the years. Magick sounded like he just had little inspiration, as if to record this to let everyone know he did vanish. I also doubt Magick would be much better if he didn't sing. There's little variation with tempo and contrast throughout the CD, it has that awkward early '90s feel where a lot of those dreaded '80s production values, sound, and feel hadn't left completely. Crystal Machine and New Jerusalem are great albums that are very much worthy of your collection, Magick isn't one of them. 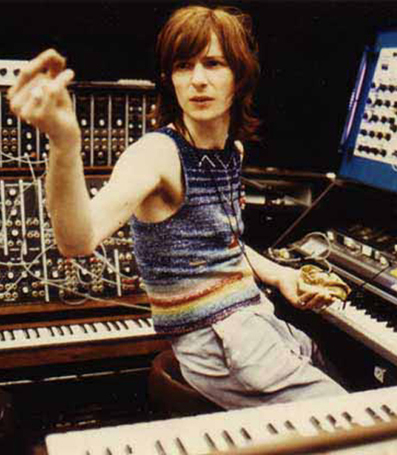 Having already made a massive contribution to Canterbury/Psych/Space group Gong's classic `Radio Gnome Trilogy' from 1972 to 1975, keyboardist, vocalist and composer Tim Blake left to forge a solo career, initially resulting in 1977's instrumental `Crystal Machine'. `New Jerusalem' a year later is an endearing mix of hippie vocals with sweetly naïve yet genuinely hopeful new-age lyrics, bouncing electronic atmospheres and eerie deep-space explorations, with everything from glissando driven Gong-like passages to darker Hawkwind moments (a group he would briefly join between 1979-80, and frequently collaborate with again starting in 2007). It remains a hugely charming, endearing and colourful space-music work, full of variety and personality. There's great conviction from Blake on opener `Song for a New Age' as he implores `It's a new age, harmony, science and love joining together, building the new age that regenerates our Earth'. It's almost a singer-songwriter type piece, full of strident acoustic guitar strums and Tim's slightly loopy voice with only minimal trilling keyboard additions. Despite declaring `Light the laser in your heart for all the world to see!' and offering hopeful cosmic lyrics, `Lighthouse' takes a darker and more mysterious turn with warped and drifting spoken word passages, shimmering glissando guitar veils and brooding programming with relentless dark bass-like slithers. The fun `Generator (Laser Beam)' by contrast is a buoyant synth-popper with a constant dance-like beat that swaps between dorky rapturous vocal verses from Tim and whirring repeated synth breaks. The all instrumental `Passage Sue la Cite (Des Revelations) is a breathless ocean of floating synth caresses behind relentless sequencer beats and veils of glissando, the piece full of drama, movement and a maddening delirium. The second side of the LP holds the sixteen minute `New Jerusalem', an epic piece that takes initial inspiration from William Blake's poem and marries it with sci-fi/new-age words and an aural canvas of space music atmosphere. Ambient calming keyboard passages that take on a cinematic elegance and drama are aided by lively bubbling Mini-Moog runs from guest electronic composer Jean-Phillipe Rykiel, and with words like `So here inside these valleys that are so full on energy, we'll build a new Jerusalem with love from you to me', the whole piece is full of great hope and even some sweetly gentle romance. `New Jerusalem' offers a nice crossover of styles meaning those who normally find progressive- electronic works too cold, repetitive and vague will find other elements to keep them interested. In many ways, it's not unlike various moments of Hawkwind discs or even some of Steve Hillage's seventies works in fleeting instants, and Tim's colourful personality shines brightly throughout. There's an admirable optimism and naivety to the new-age words throughout the album, but Blake delivers it with such heartfelt sincerity that it's impossible not to embrace his feelings on this warm, hypnotic work to be truly cherished. 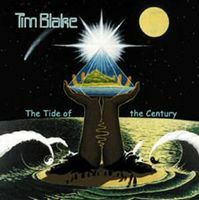 Unsurprisingly I knew of Tim Blake through his work with Gong on the Radio Gnome Trilogy, and in the 1990s, as I was getting familiar with Gong and related material, I discovered Tim Blake had a solo career. In 1997 I bought Blake's New Jerusalem on LP, a French pressing on EGG. The cover is a bit different than the one posted here as the version posted here is from a CD reissue, as the original did not feature Tim Blake's name or the album title in the Crystal Machine typefont, but in a totally different typefont, and a different take on the photo. 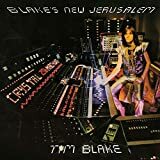 While Crystal Machine was a collection of live material from England and France in 1976 and '77 (with any audience cheers removed), this 1978 followup Blake's New Jerusalem was a studio offering. He expanded his ideas to go beyond just synths, by including acoustic guitars and singing on most of the songs. "A Song for a New Age" is a perfect example what I'm talking about. Nice acoustic guitar passages, and spacy synths. "Lighthouse" has a more pulsing sound, with glissando guitar. He played this song live when he joined Hawkwind. I love the spoken dialog that stars the album that sounds like it belongs on Star Trek. "Generator (Laser Beam)" was released as a single, and it's his attempt at a disco hit. The music has an undeniable disco feel, but has that same hi-tech futuristic vibe I come to love of this album. I could have imagined this song appearing on Battlestar Galactica (the original 1978-'79 series) after all the TV series premiered about the same time this album came out. I'll take this song any day to what the Bee Gees were doing around the same time. The title track takes up all of side two. 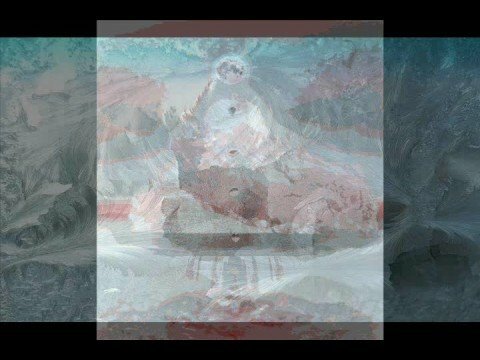 Again more futuristic sounding progressive electronic with vocals. This album seems to demonstrate why he left Gong. The music would be completely out of place on a Gong album. 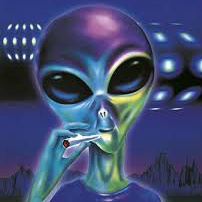 The lyrics have New Age themes, inspired by William Blake's Jerusalem (I also get an impression he was pointing out he shares the same Blake surname as the famous 18th century poet), with a far more serious tone than the Pot Head Pixies of Gong. So as much as I enjoy Crystal Machine, since that one was improvised live on the spot, it's hard not to have a few flaws show up. On New Jersalem, recording in the studio allowed him to edit any mistakes, so any flaws and mistakes aren't shown here, and while he isn't the best singer on the planet, he at least made his vocals acceptable here. Again another great album I sure highly recommend. 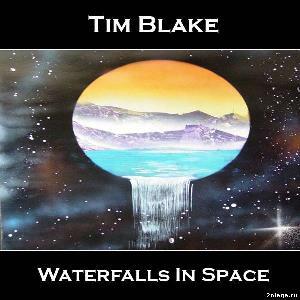 First solo effort by Tim Blake. I was first made aware of him in 1995 when I bought my first Gong albums (the Radio Gnome trilogy). So naturally that's how I became aware of him. In 1995 I barely knew of the Internet (it was just beginning to take off thanks to the introduction of Windows 95, which included built-in web connection and web browser). I didn't get hooked online until 1999, and it was a lousy WebTV (good for surfing the web and making online orders, but you couldn't download, and you had very limited access to certain audio and video files). So in 1995 I still had to resort to mail order catalogs to buy stuff I couldn't get in my neck of the woods. 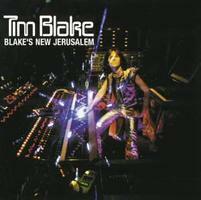 One mail order catalog sold CDs of Tim Blake, including Crystal Machine and Blake's New Jerusalem. That meant I discovered he embarked on a solo career in the late '70s. So I had to assume they were progressive electronic and I was right. I assumed they were originally released on Virgin Records, which was the label Gong recorded for. Turns out he was recording for EGG, a French label (that's known for many great progressive electronic albums of the late '70s), apparently Virgin rejected his music. Crystal Machine is a collection of live recordings from the Seasalter Free Festival in England in 1976, and La Palace Théâtre in Paris in 1977. These were all improvised, so whatever flaws are plain to show to everyone, but I really dig the wonderful analog synth sounds. I knew after hearing Gong's final Radio Gnome Trilogy, You (1974) that he would have made it as a solo artist and does this album ever prove it! "Midnight" has that wonderful synth effects and lots of wonderful analog synth leads. "Metro/Logic" features this strange percussive rhythm, with plenty of synth leads, with Gong-type sound effects at the end. "Last Ride of the Boogie Child" shows the one weak spot, and that Tim Blake wasn't the greatest singer out there, but it's just two short spots here,, mainly synth bass with synth bubbles and leads. "Synthese Intemporel" is close to Tangerine Dream territory, not too different from what TD was doing around 1975. 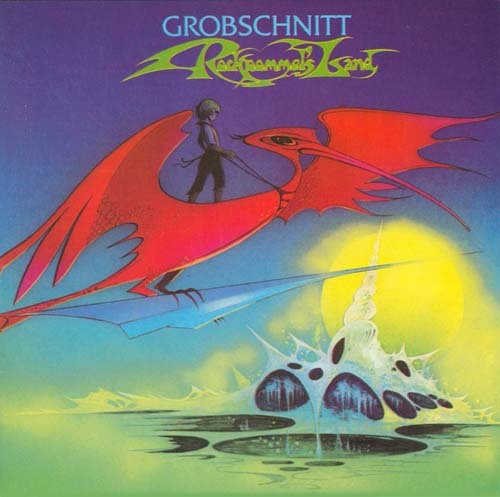 "Crystal Presence" is simply electronic effects, sounds like the same effects I heard off Angel's Egg. On the original LP, this piece ends in a lock-in groove that repeats the same sound effect over and over at the end until you lift the needle (provided you're playing it on a non-automatic turntable). 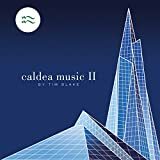 I am ever so glad Tim Blake did pursue a solo career in electronic music, and while the album isn't perfect, I really dig the '70s vibe and analog synth sounds and this is a required addition to your progressive electronic collection. I suppose that by 1977, when this Tim Blake's first work appeared, it could even have sounded a bit old-fashioned. Well, after Tangerine Dream's, 1975 "Rubycon" mostly everything else in the prog/electronic world, sounded old-fashioned. Straight to the point, this "Crystal Machine", Tim Blake's first post Gong and Hawkwind solo effort, owes a lot to some of this genre's pioneers, he is really "composition-wise" not telling a different or "new" story. But he turns out to be an excellent story teller. By blending various approaches in styling, like "Space/Rock's" basic rhythms with a very 60' psychedelic focus and of course more than enough very!! TD's atmospheres. He kind of makes it a worthwhile experience and maybe an "essential" Prog/Electronic album, depending where you are standing. I myself first heard TD's "Rubycon", almost at the time of its release (give n' take). So I, as to where I'm standing, I will decieve myself, telling you, it is not annoying more than once, that this record sounds more than a lot, to TD's musical language, than Blake's. This happens to the point of "laughter" in track 1 "Midnight" and "Synthese Intemporel" track 4. Worst of all, the other 3 tracks are superb!... Which makes it difficult to just miss or throw away into oblivion. A real shame! What makes this 3 tracks work perfectly, is that they do not rely on synthesizers alone, nor their "pulses". They are by far more "unique" because the composer establishes a more "experimental" tone, and a more relaxed atmosphere with additions of other "flavors" to the mix. So! 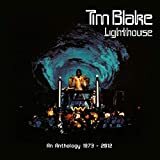 Kind of hard to rate, but 2 out of 5, sets this one only for true "electronic" followers>"
I myself will further into Tim Blake's solo discography. 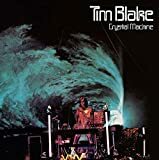 Recorded after the end of his stint in Gong and before he joined Hawkwind, Tim Blake's debut solo album Crystal machine is a part-studio part-live affair, documenting music composed to accompany a pioneering laser light show. Musically speaking, it's mostly in line with the work being produced at around the same time by Tangerine Dream or Klaus Schulze, with enough callbacks to Tim's earlier work in Gong to distinguish it from those pioneers of Krautrock- derived electronic music. It doesn't present anything to revolutionise the genre, but it more than holds its own against the likes of, say, Tangerine Dream's Ricochet or Schulze's Moondawn.